These six smart strategies will help you stick to the plan without feeling famished. You’ve probably been hearing some buzz aboutintermittent fasting–the weight loss method that alternates fasting days and non-fasting days–especially since there’s been more and more research on its potential to help people slim down. For example, in a new study published inJAMA,researchers divided obese men and women into two groups: One followed a traditional calorie-restricted eating plan, and the other group practicedintermittent fasting. After one year, the participants in both groups experienced similar results in terms of totalweight loss, blood pressure,heart rate, triglycerides, fasting blood sugar and insulin levels, insulin resistance, and markers for inflammation. The researchers noted, however, that the participants in the intermittent fasting group had a higher dropout rate (38% compared to 29%), which suggests that the eating plan may be less sustainable over time. In my practice I find that the approach isn’t for everyone. That said, if you’re interested in trying it—or you’ve already started—here are six strategies I recommend to maximize your results, and help you stick it out. 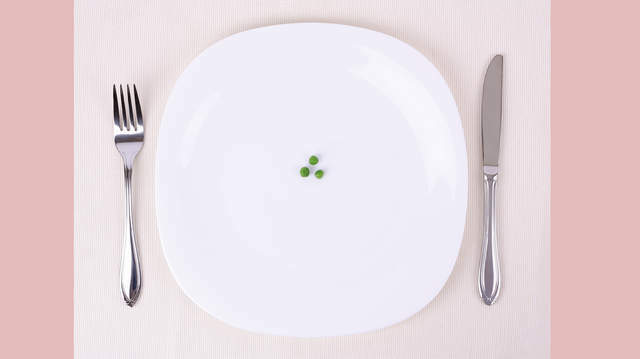 There isn’t one standard protocol for intermittent fasting. But many plans limit total calories to just 500 on fasting days—which is why it’s important to makefood qualitya priority, and squeeze the most nutrition possible out of your meals and snacks. That means nixing processed foods, and focusing on fresh, healthy fare. Yes, you can technically afford to eat a 100-calorie snack pack of mini-chocolate chips cookies. But spending those same 100 calories on veggies and an organic egg delivers a broad spectrum of nutrients your body needs for energy, immunity, and digestive health. Bottom line: A calorie isn’t just a calorie, and quality is king. It’s crucial to make sure you’re giving your body enough food to fuel upcoming activities. So if you’re going to fast Mondays and Wednesdays, don’t put more demands on your body with an intense spin class, or other seriousworkout. Make fasting days your rest days. Or at the very most, plan to do some stretching orlight yoga. In other words, timing matters. Think of your body like a car: You need to fill the gas tank before you go for a long drive, not the next day. The difference between a car and your body, however, is a car with no fuel will stop, while you can push your under-nourished body to keep moving. But slogging through workouts will only wear your body out, and up your risk of injury. Certain foods tend to keep us feeling full longer than others. Generally, satiating nutrients include protein, good fat, and fiber. Thinkpulses(the umbrella term for beans, lentils, peas, and chickpeas), eggs, poultry andseafood,nutsandseeds,avocado, and extra virginolive oil. Be sure to eat these foods on fasting days. Yes, a tablespoon of extra virgin olive oil packs 120 calories out of your 500. But using it to sauté or dress veggies will significantly boost how full you feel after a meal–and prevent lingering, gnawing hunger. Larger portions don’t always mean more calories. It depends on what you’re eating. For example, three cups of popped popcorn (about the size of three baseballs) counts as a serving ofwhole grain; but it’s a much larger volume than a half cup of brown rice, which also counts as one serving of whole grain. Bonus: You can eat the popcorn one piece at a time, which makes it seem like even more food. Raw veggies are another way to fill up your plate without blowing your calorie budget. One medium zucchini provides just 35 calories. And when shredded with a box grater, it becomes a generously sized “bed” for a serving of protein. Other veggies with low calorie counts per serving–which is one cup, or about the size of a tennis ball–include red bell peppers (45 calories), grape tomatoes and broccoli (30), spinach (7), and white button mushrooms (5). Start to compare the calorie content of foods within the same group that differ in portion size. For example, a dozen steamed or boiled shrimp contains about the same number of calories as a single egg–with significantly more volume and more protein. Naturalseasoningsoffer several advantages on fasting days. They’re virtually calorie-free, but make meals and snacks more flavorful, aromatic, and visually appealing. They’ve also been shown to boost satiety, and rev up metabolism. Plus they’re chock full of antioxidants and help reduce inflammation in the body, which is tied to healthymetabolismand chronic disease prevention. Simply adding roasted garlic, fresh basil, and a light drizzle of balsamic vinegar can transform a vine-ripened tomato. Rosemary compliments nearly any oven-roasted veggie. And a combo of lime juice, lime zest, and cilantro can jazz up anything from avocado to cauliflower. If you aren’t super familiar with using culinary herbs, there are tons ofonline resourcesyou can check out for guidance. But I also recommend experimenting on your own—I bet you’ll you have fun discovering some new favorite combinations. On fasting days make a conscious effort to slow your eating pace. One tool that may help is to listen to a guided meditation once a day, even for just five minutes. Short daily meditations help improvemindfulnessand slow your pace overall, including during meals and snacks. Eating slower, taking smaller bites, and removing mealtime distractions (including the TV and phone) have all been shown to boost satiety, and naturally curb calorie intake. This strategy is especially effective for helping you stick to your healthy regime—whether it’s intermittent fasting or another balanced plan.